Media Ethics and Society: What would you do? Journalists have become entirely too familiar with having to cover mass shootings in the United States. The Las Vegas shooting was the latest shooting in America. Besides the tragedy and just overall emotion of these events, the problem journalists are encountering, is how to cover these events. There is no "right way" to cover these events. Reporters, editors and producers are faced with tough questions. Questions like, do you name and show the shooter, or do you tell his life story? Then there is the victims and being the respectful to their families during a difficult time. It is a tough call for journalists and producers. 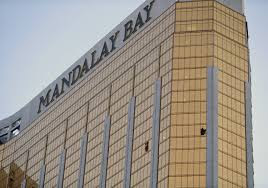 Should they name the shooter or not? If you were a producer, what would you do? They want to be respectful to the families but a journalists job is to report the news. The Society of Professional Journalists (SPJ), one of, if not the main sources for journalists, has a code of ethics on their website. The very first one on the site is "Seek the Truth and Report It." It says "ethical journalism should be accurate and fair. Journalists should be honest and courageous in gathering, reporting and interpreting information." So if you apply those ethics a journalist should report the news. As sad as it is, it is newsworthy, worth being covered. People care about it and because of that, it should be reported. However, there is another side. The other side says not to run the name. Research has been shown that by naming them and giving them their "15 seconds of fame," it leads to more shootings. The FBI has since told media organizations to stop naming the shooters. The National Press Photographers Association (NPPA) has their own lists of values. One of their main ones is "Treat all subjects with respect and dignity. Give special consideration to vulnerable subjects and compassion to victims of crime or tragedy." This should be applied directly to mass shooting. This is compassion to victims of tragedy. If ever applied, this is the case to do it. It is just a matter of what your ethics are. Which code of ethics will you choose to apply to yourself and your organization? So again I ask, what would you do?